Kevin Hillstrom: MineThatData: $12,000,000 Profit on Catalog PhD Projects This Year? $22,000,000 Total? $12,000,000 Profit on Catalog PhD Projects This Year? $22,000,000 Total? It is an understatement to say that there are profit opportunities for catalog marketers these days. In fact, in the past twenty months, I've uncovered $22,000,000 of annual profit opportunity for clients, using the Catalog PhD framework. Well, the secret is that "matchback analytics" employed by most catalog brands are fundamentally flawed. After analyzing several hundred catalog and email mail/holdout tests, it is clear that demand happens organically ... in other words, if you don't mail catalogs or send emails to customers, customers spend money anyway. Matchback/Allocation algorithms determine that organic demand, demand that would be generated because of brand loyalty, is caused by catalog/email marketing, severely overstating the importance of marketing at catalog brands, limiting the amount of profit you generate (though it generates significant profit for the entire catalog marketing vendor ecosystem). Here's the fundamental flaw: Take your average catalog brand, using an average matchback algorithm. Most online transactions are allocated back to the catalog, with few transactions left for email or search or whatever channels remain. In the following example, the brand mails 15 catalogs a year to the average customer. Here's the profit and loss statement, by catalog count. This brand mails 15 catalogs per year, and as you can see, somewhere between 11 and 15 catalog mailings per year is optimal. Based on matchback analytics, this business is doing a good job. 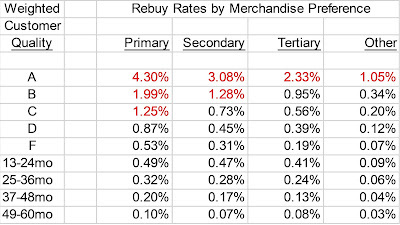 In reality, just FOUR catalog mailings per year yields an optimal outcome. FOUR! Now, yes, you're going to generate less demand. And yes, this means that your housefile is going to shrink a bit ... unless you reallocate some of your ad cost savings back to customer acquisition activities or to marketing in other channels. Look at the profitability of a customer, folks. Using matchbacks/allocation algorithms, you generate $8.49 profit per customer at 15 catalog mailings per year. 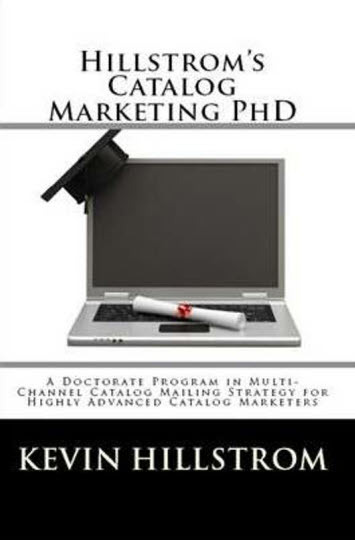 Using HIllstrom's Catalog Marketing PhD, you generate $10.65 profit per customer at 4 catalog mailings per year. This is how I have been able to help folks generate $12,000,000 of profit opportunity this year alone, and $22,000,000 in the past twenty months, using this methodology. The matchback/allocation routines employed by the catalog vendor community fail to account for mail/holdout results, and fail to account for cannibalization between catalogs. Hillstrom's Catalog PhD accounts for these factors. The methodology is reasonably straightforward and simple. Predict the likelihood of a customer purchasing in the next year (40%). Predict how much a customer will spend if the customer purchases, annually ($100). Predict the percentage of demand that will be organic, annually, at a customer level (50%). Multiply the predictions (40% * $100 * (1 - 50%)) = $20.00. 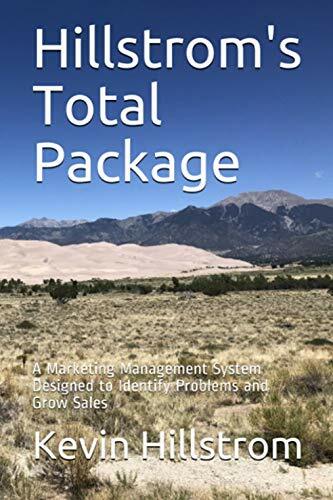 Run a profit and loss statement, using cannibalization assumptions, to identify the optimal number of catalogs to mail. I've just given you the keys to the kingdom. I literally told you how to do this. Show me a vendor that will give this type of information away??? So, what is stopping you from using this methodology? You can continue to use flawed matchback analytics, analytics you pay the vendor community to use. You can implement the methodology I outlined here. You can read the print version of the book for more details, click here now! You can read the Kindle version of the book for more details, click here. You can hire me to execute a project for you ... contact me now! Here's a little bit of inside information ... I am raising prices on Catalog PhD projects, starting January 1, 2012. By responding to this blog post (click here for this opportunity), you lock in 2011 pricing, saving you $$$$. So take advantage, folks, what's not to like about generating more profit or saving a serious chunk of ad cost? What would stop you from using this methodology? wow, that is really big money! catalogs are really way of marketing you know.. nice post guys!